This entry was posted in Branch Breweries and tagged Rudgate on 30th March 2014 by York CAMRA. This entry was posted in Branch Breweries and tagged Great Yorkshire on 30th March 2014 by York CAMRA. 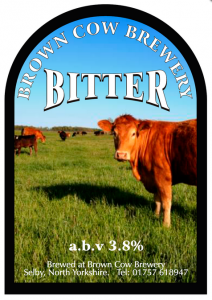 This entry was posted in Branch Breweries and tagged Brown Cow on 30th March 2014 by York CAMRA. This entry was posted in Branch Breweries and tagged Hop Studio on 30th March 2014 by York CAMRA. This entry was posted in Branch Breweries and tagged Bad Seed on 30th March 2014 by York CAMRA. This entry was posted in Branch Breweries and tagged Barkston on 30th March 2014 by York CAMRA. This entry was posted in Branch Breweries and tagged Treboom on 29th March 2014 by York CAMRA.